Personal Capital and M1 Finance are among the best-known robo-advisors but they are also remarkably different, and geared toward different types of investors. Personal Capital is billed as a hybrid product that offers automated money management via sophisticated robo-advisor algorithms and also connects clients to human financial advisors who provide a more personalized touch. A newer entry to the field, M1 Finance was founded in 2015. Based in Chicago, this product is billed as a hybrid as well, albeit for different reasons. A robo-advisor with an array of automated features, it is also designed to take the place of traditional investment brokerage firms. Below we compare M1 Finance vs Personal Capital so you know which is best for your needs. 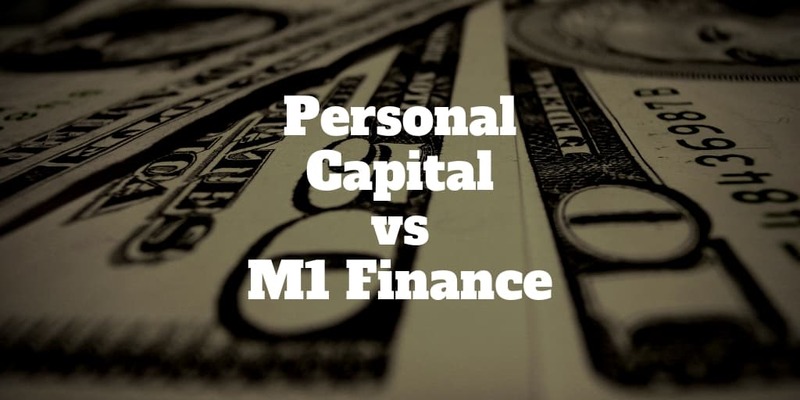 Personal Capital or M1 Finance: Which Is Best? Unlike Personal Capital, M1 Finance’s entire platform is offered free of charge. With no maintenance fees, trading commissions or other charges to worry about, it’s a great find for intermediate to experienced investors who prefer a DIY, and a far more affordable, approach to investing. Personal Capital costs considerably more than M1 Finance, but the former offers many of its best educational and investment tools free of charge. A side note: M1 Finance doesn’t support 401(k) accounts or similar account types, which could rule it out. If you do want your 401(k) managed automatically, check out blooom. Like any investor, one of the first things that you’d probably like to know about any robo-advisor is how much it will cost you. Clearly geared toward investors with capital of at least $100,000, Personal Capital’s account management fees are higher than most other robo-advisors but as you’ll see there is a good reason why. Although these rates may seem high, the typical financial advisor charges 1%+ on assets managed, making this a great deal for investors with a high net worth. One of M1 Finance’s top claims to fame is the fact that there are no management fees. In fact, a minimum investment isn’t even required to make use of the product’s non-investment-related services, which makes this an excellent choice for everyone from intermediate to more experienced investors. Another key factor to consider when selecting a robo-advisor is investment minimums. No minimum investment is required to sign up with M1 Finance, however you must deposit at least $100 to start investing through the platform. You can skip this step and explore the available features without even funding your account. Unless you have at least $100,000 to invest through Personal Capital, you will have to find a different robo-advisor, such as Betterment. Indeed, this robo-advisor hybrid is explicitly geared toward more affluent individuals. If you are used to facing fees of around 1% per year through a financial advisor or firm, however, you are sure to appreciate the discounted rates. Like Personal Capital, M1 Finance supports most IRA account types, including Roth IRAs, traditional IRAs, rollover IRAs and SEP IRAs. In addition, it supports taxable accounts and joint accounts as well as trusts. Where it misses the mark when compared to Personal Capital is in its lack of support for 401(k) accounts. Unlike Personal Capital, M1 Finance offers no assistance. Depending on whether the bulk of your wealth is in taxable or retirement accounts, tax strategies may be a primary factor to consider when selecting platforms to build wealth. Like the vast majority of popular robo-advisors, Personal Capital offers tax-loss harvesting, or TLH strategies. However, TLH is only supported for portfolios that include individual U.S. stocks and/or ETFs. This focus on your bottom line after paying Uncle Sam makes Personal Capital a well-rounded product for the vast majority of investors — at least, it is for those who have a minimum of $100,000 to invest initially. Unlike Personal Capital, M1 Finance does not offer tax-loss harvesting strategies for any account types. Another crucial area to consider when looking at robo-advisor platforms is whether any human help is available. Depending on your investment needs, a lack of human support could make or break a platform’s ability to address your chief concerns. Other than customer support for technical issues, M1 Finance offers no human financial advisors for clients to turn to for help. This should come as no surprise given that the platform is provided completely free of charge. Personal Capital shines brightest when it comes to human financial advisors. Clients with account balances of $200,000 and up are assigned to two dedicated financial advisors. Individuals with lower account balances enjoy access to a single financial advisor. M1 provides investment portfolio templates called “pies” that are based on Modern Portfolio Theory, or MPT. In this way it mimics a traditional brokerage platform because you can choose your own investments for your individual pies. The platform is also loaded with a variety of financial tools and features that are also free to use. In addition to its robo-advisor features, Personal Capital offers a wide array of useful financial tools. Personal Capital offers support for six of what it describes as the most important asset classes in investing. You will find U.S. equities, international equities, U.S. bonds, international bonds, alternatives and cash. The cash support is especially rare among these types of products. Fewer asset classes are supported by M1 Finance. In fact, this product supports exactly two asset classes: U.S. stocks and ETFs. Both platforms are user-friendly, and you don’t need to be a computer whiz to navigate them. Still, if you do run into trouble, it’s nice to know that help is available. With Personal Capital, you will enjoy 24/7 customer support via telephone and email. M1 Finance provides access to email support around-the-clock. However, telephone support is limited to business hours from Monday through Friday, which might leave some investors in the lurch. Both M1 Finance and Personal Capital offer mobile apps for iOS and Android. Whether you use an iPhone, an Android phone or even a tablet that runs off one of those operating systems, you can download the associated app to bring your investment activities with you wherever you go. Both products’ apps are well-designed and easy to use. It’s easy to pick between Personal Capital and M1 Finance because one is geared toward investors with a high net worth and the other is pretty much free to use for investors of all types. For the human element of having actual financial advisors on hand for clients, Personal Capital is the winner. If you are price sensitive and have a clear investing strategy and want more control, M1 Finance is the better choice. ‹ tastyworks Review 2019: $0 Commissions To Close Stock & Options Trades!